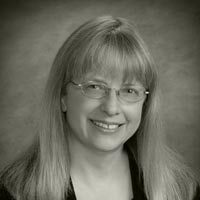 Christine Kopitzke joined SoCal IP Law Group as a partner in January 2011. Her practice focuses on trademark and copyright counseling and dispute resolution. She advises foreign and domestic clients in a wide array of industries on the adoption and use of trademarks and on the protection, enforcement, licensing, and transfer of trademarks, copyrights, publicity rights, and domain names in the United States and abroad. Ms. Kopitzke regularly represents clients in business and adversarial negotiations concerning their intellectual property and in proceedings before the Trademark Trial and Appeal Board. Her practice also involves advising and representing clients in the creation and protection of their internet web sites, protecting their trade secrets with non-disclosure agreements in advance of funding and contract negotiations, and performing due diligence concerning their intellectual property rights. Ms. Kopitzke has practiced in and headed the trademark and copyright departments in large and mid-size law firms in San Francisco, Silicon Valley, and Santa Barbara. Her professional experience includes complex international trademark licensing for a multinational corporation; copyright dispute resolution with federal agencies on behalf of a prominent national design firm; consultation concerning enterprise-wide branding strategy; author-publisher contract negotiations; trademark enforcement involving infringing products on eBay; and preparation of copyright licenses and assignments for contributors to web sites and online courses. Ms. Kopitzke has been active in a number of professional organizations, including the International Trademark Association and the Copyright Society of the USA. She is currently an advisor to the Executive Committee of the Intellectual Property Section of the State Bar of California, and has served as editor of New Matter, the Section’s quarterly journal. Ms. Kopitzke also serves as Chair of the Intellectual Property/Technology Business Section of the Santa Barbara County Bar Association and on the board of the county’s Bar Foundation, and is a member of Santa Barbara Women Lawyers. She was an editorial consultant for the 2008 CEB treatise Intellectual Property in Business Transactions, and regularly speaks on trademark and copyright topics to professional organizations at the local and state levels.